So, these are the countries with icy cold winters and scary lows. These coldest countries in the world can rightly be called “icy layered” countries. These countries witness harsh winters that force their inhabitants to dress extra warm and fuzzy. Heavy winds and snowfall are a usual phenomenon in these countries. These are countries where you can experience insanely cold temperatures that can be brutal at times. However, it’s also an opportunity to enjoy the snowy conditions in these countries. So, cold weather doesn’t necessarily mean a bad thing at all. Moreover, you can go for ice-skating on a frozen lake/pond. So, these countries offer a wonderful opportunity for all those who love the snow and the awesome activities that are associated with it. If you have an adventurous bone, you can well make plans to visit these countries. If you want to know what the coldest country in the world is, then do check out this post. The post features the coldest country in the world. So, let’s begin and get to know the 10 Coldest Countries in the World. We begin this list of cold countries with Mongolia. It’s a country that is located in Central Asia between China and Russia. It’s a very picturesque country with vast grasslands and scattered mountain ranges making the climate of the country very cold. The country receives a large amount of snowfall in the winter season. The temperature during winters can easily dip below minus twenty degrees. The winter season lasts from October to April during which the average temperature is below zero degrees Celsius. The rest of the year, the temperature reaches a little above freezing point. The country is situated at a high altitude of 4900 feet above sea level. In the months of January and February, the temperatures are particularly severe and can dip to -30°C. It freezes the water. However, the nomadic tribes that live in the mountains have adapted their lifestyle and thrive in the frigid environment. Finland experiences a long winter season. It is the northernmost country in Europe and one of the most popular Scandinavian countries. The country experiences extremely cold climate most of the year due to the Baltic Sea and the Atlantic Current. The temperature here can dip below minus forty degrees in the winter season which last for four months. There is snowfall throughout the winter season. Moreover, there is a permanent presence of snow throughout the season. The Lapland region of Finland experiences extremely biting cold winds and frost which can last for over 130 days each year. Finland is also famous for the Aurora Borealis Phenomenon which is also known as Northern Lights. Finland has also won many medals in the Winter Olympics. Estonia is a European country in this list of coldest countries in the world. The country experiences sub-zero temperatures which are not a result of constant snowfall. Rather the wind currents of the monsoon wind are responsible for the extremely cold temperature making the country perennially frigid. Winters here are long and severe, but the snowfall is comparatively lesser than other cold countries featured in this list. Rainfall here is erratic which causes massive drops in temperature. The southeastern region of Estonia experiences temperature in the range of minus three to minus eight degree Celsius which makes the daily life of people nearly impossible for the local people. However, the summers are relatively pleasant, at an average of fifteen degree Celsius. Moreover, Estonia is one of the most favorite tourist destinations in Europe. Estonia is particularly known for its low costs, beautiful medieval architecture, and of course its thick pine trees. The United States of America (USA) is one of the coldest countries in the world. However, all the regions in the USA do not have a uniform temperature. It’s a huge country with a large geographical expanse. So, the country experiences a range of climatic conditions. The USA is located just south of Canada. Its northern regions experience cold climatic conditions. It receives heavy rainfall during the winter season. However, it’s Southern and Central Regions are significantly warmer and so are suitable for agriculture. It even has some of the hottest places in the world, such as the Death Valley. 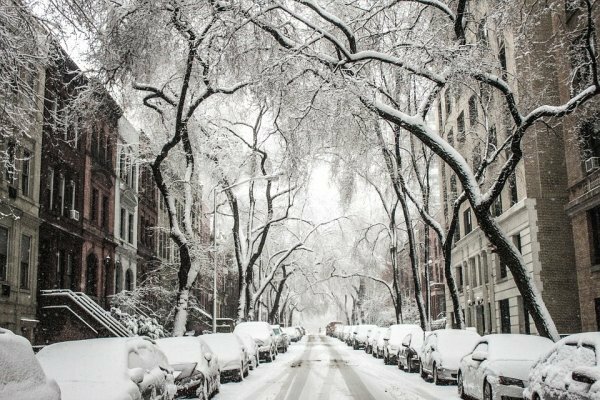 In the northern parts of the USA, the temperature can drop well below zero degrees during the winter season. The higher altitudes receive heavy snowfall. Northern states such as Alaska are nearly always cold. The temperatures here dip below minus sixty degree Celsius. Canada is located in the extreme North. Canada is one of the most visited countries in the world. The overall climatic conditions in Canada are very cold. The day time temperature here can be as low as minus fifteen degree Celsius. The night temperatures can dip to minus forty degree Celsius. Almost all of Canada receives plenty of snowfall in the winters. However, despite being located in the extreme North, Canada has plenty of greenery and lakes. That said, winters here are extremely chilly, making it one of the coldest countries in the world. In fact, the temperature in the city of Snag, in Yukon, can reach as low as minus (-) 63 degree Celsius making it the coldest city in the whole of North America. Cities such as Ottawa receive heavy snowfall in winters. However, these cities have excellent infrastructure. So, people do not suffer much. The name Iceland aptly describes the climatic conditions of this country which is extremely cold in winters. However, unlike what many people think, Iceland is actually warmer than Greenland. During the summers, Iceland is green and fresh. However, in winters, it is covered in a blanket of snow. In fact, Iceland is one of the best places in the world to see Northern Lights. Iceland witnesses icy cold winters and temperatures here can dip to minus ten degree Celsius or lower. So, Iceland is one of the coldest countries in the world. The northern regions of Iceland have sub-zero temperatures all year round. The cold Arctic winds make the climate extremely unbearable and cold. Occasionally, winters can be horrible, and temperatures can go down to -40 degree Celsius. In fact, this small island nation has low population due to its extreme cold climatic conditions. Although the name of the country is Greenland, there’s hardly anything green here. The large northern landmass is regarded as one of the coldest countries in the world. Most of its landmass is covered in ice throughout the year. In winters, the temperatures can dip up to minus sixty-five degree Celsius. The average temperature across Greenland is minus ten degree Celsius. Frigid oceans from all sides surround Greenland. It is also one of those countries that have the longest coastlines. Sub-zero temperatures characterize Even the summers. Greenland is particularly known for its long days or nights depending on the season. In summers, there can be up to 22 hours of sunlight. However, in winters, Greenland receives as little as 3 hours of sunlight. Russia is not only one of the largest countries in the world; it is also one of the coldest countries in the world. Russia stretches from Europe to Asia and forms a part of both the continents. Most of its regions are extremely cold throughout the year. Moreover, the summer temperatures can also dip below zero degrees Celsius. In fact, its northernmost region, Siberia, is permanently covered with Snow. Russia winters are particularly known for its ferocity. Russia’s wide expanses of wild open spaces make it one of the windiest places on earth. In Russia, it rains and snows for at least 8 months each year. Due to these extreme cold conditions, the average winter temperatures tend to reach as low as -27 degree Celsius. So, Russia experiences bitter climate almost all year round. In fact, the coldest village in the world, Oymyakon, is located in Russia itself. Here, the temperature reaches as low as -71 degree Celsius. Moreover, there are many other cities and towns which experience mind-numbing frigid climatic conditions. It’s no wonder that people take to vodka and other types of alcohol. Mobile phones don’t even work in such extreme cold conditions. Homes have outside toilets as underground plumbing is difficult to create. The water supply comes from outside the region. The second coldest country in the world is Kazakhstan. It is situated inside the Arctic Circle and is situated just below Russia. In fact, Kazakhstan was a part of the former Soviet Union. There are many regions in the country which are permanently covered with ice. Its hilly topography coupled with harsh and erratic rainfall in winters makes the climate very cold. In fact, the average winter temperature here ranges between -20 and -30 degree Celsius. Winters here are so severe that anyone who steps outside faces a high degree of risk of losing fingers, toes, and even frostbite. Antarctica features at the top of this list of the coldest countries in the world. So, Antarctica is the coldest country on earth. However, we must clarify to you that Antarctica can rightly be called as the coldest region in the world because technically it is not a single country but a continent. In fact, Antarctica belongs to a large number of nations, under diplomatic treaties. So, the entire land mass is the coldest place in the world. The temperature here can dip to as low as -93 degree Celsius. Moreover, the average temperature here is -83 degree Celsius as the continent receives little to no sunlight. It’s a snowy desert where it is impossible for humans to make a sustainable living. Very high-speed winds, lack of potable water, food or shelter make Antarctica impossible to live for humans. Its outdoors is a frozen version of hell. It’s covered with snow all year round. There are big glaciers in Antarctica. The Canada Glacier in Antarctica happens to be one of the most beautiful glaciers in the world. With this, we have reached the end of this post on the coldest countries in the world. Now, you know which country is the coldest. We have listed the coldest countries on earth. We hope you liked the presentation. Please do remember to share the post with your friends and loved ones. If you wish, you can leave your feedback and suggestions in the comment section below. We like to hear from you. Thanks for visiting!